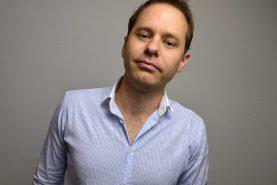 Do we get the maximum value from our urban environment in South East Queensland? The team at Scotty Valentine Design have taken on this question to develop a concept for the South East Queensland of 2031 and for the continued liveability and economic prosperity of the future. We have extensive experience in hospitality design working on projects in the Caribbean, the Middle East and South East Asia, where we have seen tremendous economic prosperity brought to communities with tourism infrastructure. We’ve developed an innovative concept that explores tourism opportunities in South East Queensland, exclusively for the SEQ Regional Plan Review. 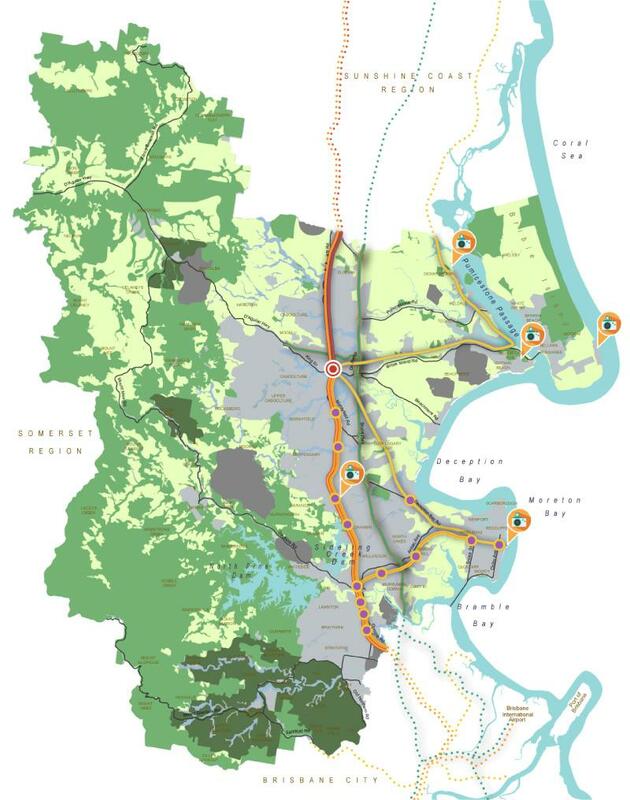 We’ve called our concept FLEXURBAN, a conceptual set of ideas for the development of our region to benefit the people of South East Queensland by creating flexible connections from our major port infrastructure, to our communities and our natural tourism resources. FLEXURBAN proposes to connect all international airports to each other via a high speed rail link to drive more value out of our existing port infrastructure and to link our best tourism destinations, which would drive the growth of visitors to our region and the ability for visitors to enjoy world class tourism destinations minutes from our cities and airports. 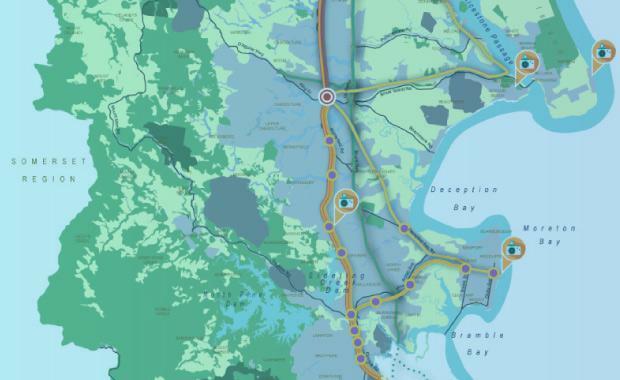 The implementation of a faster commuter rail and additional light rail systems connecting valuable coastal communities to airports, high speed rail and second tier cities will offer growth opportunities outside of our city centre creating a flexible city that spans the region. 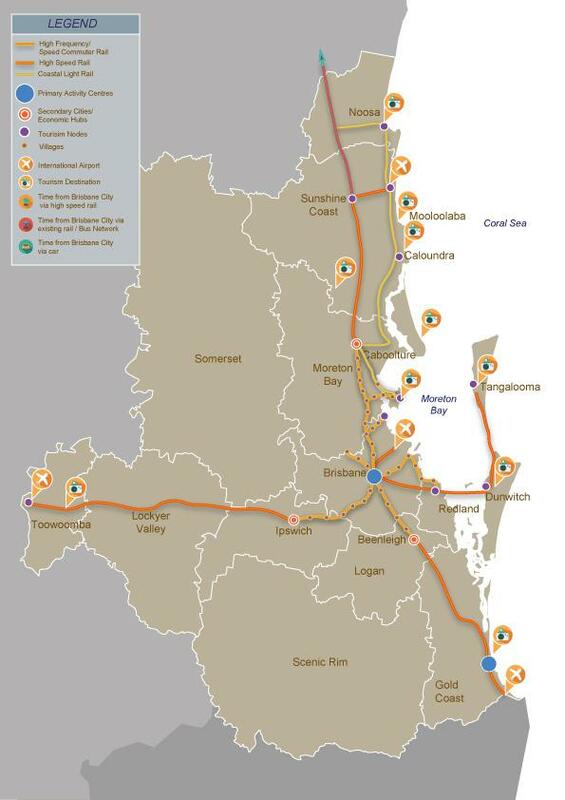 It will offer all who live and visit South East Queensland easy access to exciting destinations to grow, live and enjoy. Our study on the Moreton Bay region highlighted the need for 91,000 dwellings by 2031 (that’s dwellings not people). To continue to develop as we have in the past and present could have catastrophic effects on our natural environment and our economy. 1. 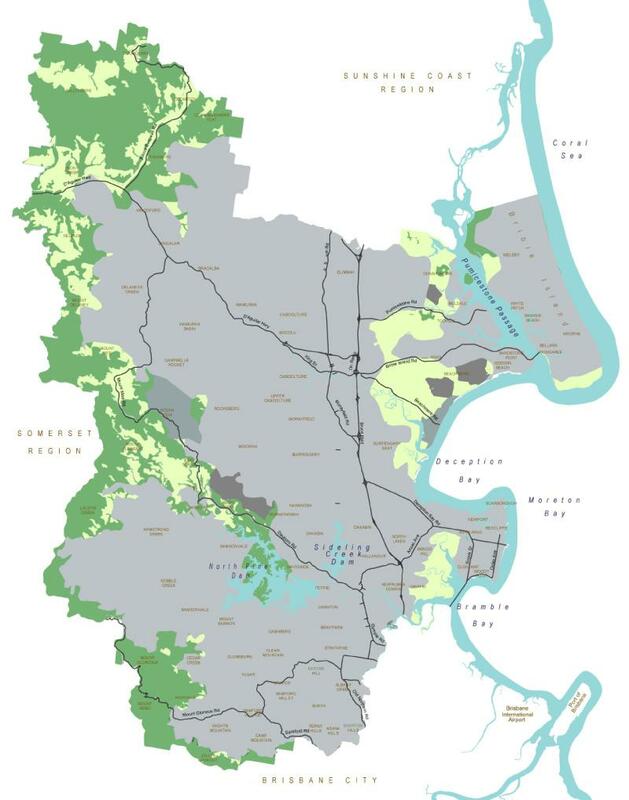 62% increase in population will almost cover the Moreton Bay Region if we don't rethink the way we live. 2. Creating villages along our existing infrastructure network would limit native bushland destruction and offer significant economic benifits. FLEXURBAN advocates to stem the growth of the suburb and increase the density around our existing infrastructure to create vibrant mixed used communities that are not only great places to live and work but act as tourism precinct, each with their very own storey to attract visitors. We’re not only advocates for flexible communities, we’ve studied them using the community of Narangba as a case study. 3 The master plan for the Narangba of 2031 increases density, pedestrian space and economic activity while integrating methods to grow local wildlife populations. Narangba is a special place and brimming with natural assets that need to be properly understood and integrated into the growing community, it is currently at a risk of becoming just another suburb and a wasted opportunity. 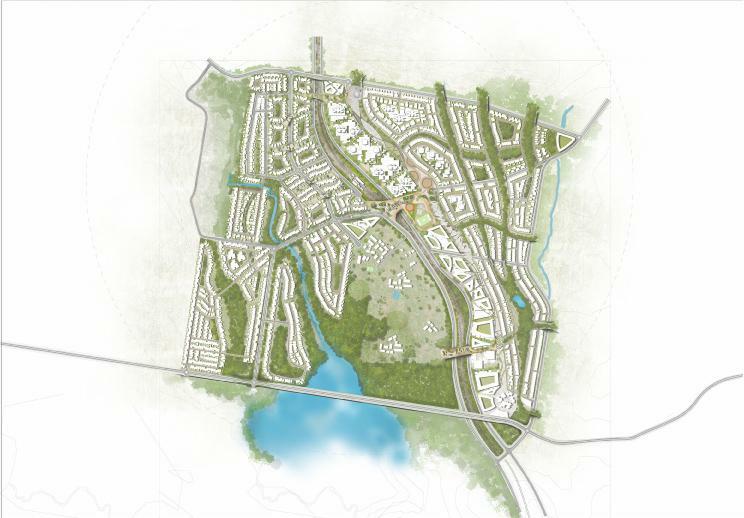 The FLEXURBAN concept studies the use of flexible living and working models to create an active urban environment, integrating high density building with bushland to protect native wildlife and creating a community that priorities the pedestrian to attract people to live, work and visit. 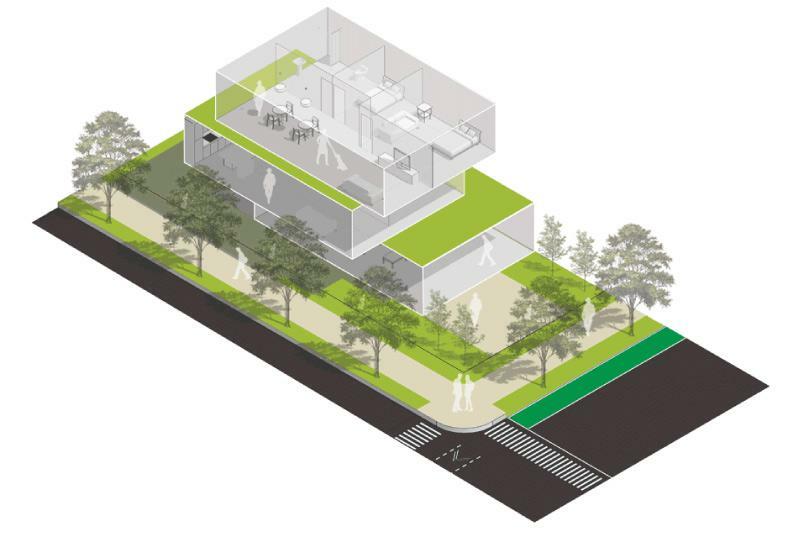 4 The dwelling in a FLEXURBAN community can be used for a home, an office, a boutique store or a cafe. Its use is entirely up to the owner. The growth of small and boutique businesses would create our first tourism assets for the community, but in order to help grow tourism, each community would benefit from multiple tourism assets to accompany a world class built environment. We studied the area surrounding Narangba community and found an abundance of natural opportunities in the bush and agricultural land. This offers potential for development of tourist activities like mountain bike riding, horse riding and bush walking trails. Existing agricultural land could be developed to serve the urban village creating local produce and local jobs. 5 With easy access to amenity either in the community or by a higher speed commuter rail line the Naragba of 2031 is able to prioritise the pedestrian and create active public spaces. 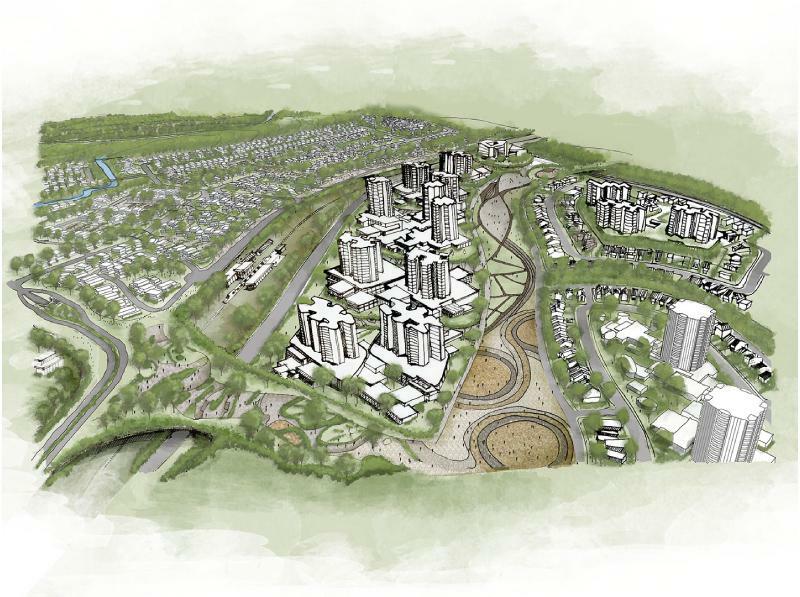 FLEXURBAN shows that undertaking a rigorous design process of the South East Queensland region would yield greater livability standards, jobs for the people of Queensland and economic prosperity. We see so much potential for the future of South East Queensland and we hope that our efforts will inspire private developers, the Queensland government and the community of South East Queensland to think differently about the impact design can have to benefit their communities. See the full FLEXURBAN report here and please share with us your feedback or ideas to design the future of South East Queensland.